There are plenty of smartwatches and smart bands out in the market, so what does one company have to do to stand out? 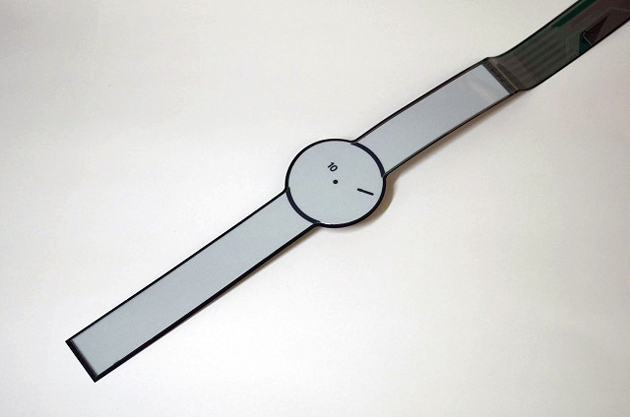 Sony wants to make a smartwatch made entirely out of e-paper, reports Bloomberg. According to an unnamed source, this is part of the Japanese’s company’s new venture-style approach to create new products. This means that the watch face and the wristband will be made from a “patented material” so the entire surface can function as a display – it can also change its appearance. Rather than compete with the other smartwatches out there like Samsung, Apple and even the company’s own SmartWatch, this will be more focused on style. “Smartwatches don’t sell now because there is little reason to buy one, since your smartphone can do it all anyway. Many people choose their watches based on the brand and design. Convincing them to replace what’s on their wrist now is no mean feat.” – Taichiro Nakayama, a senior consultant at Nomura Research, Tokyo. That’s not all Sony is working on, the company is also testing a building block system to help people build their own prototype electronics. Called MESH, the product has a collection of sensors, LED, and buttons. There’s wireless connectivity on board so users can operate it via a tablet interface. It’ll definitely be cool to see what Sony has got to offer, let’s just hope that their little test projects will make their way to the Malaysian market.